Oso is a small rural community along the North Fork of the Stillaguamish River. It’s in the State of Washington, where I live. As of Wednesday morning, the death toll in the tragic mudslide in Oso has reached 24, and is expected to rise, with another 176 people still missing, although some may have been double–counted. It’s being called “one of the deadliest [mudslides] in recent U.S. history.” The near–record rainfall this month has been attributed as the likely cause of the mudslide. Although Washington residents are used to rain, this recent deluge seems like an extreme weather event. Warm air holds more moisture, and consequently a globally warmed earth will cause more precipitation in some locations (while other places might suffer from extreme droughts). According to the Climate Impacts Group at the University of Washington, some of the impacts of climate change in the Pacific Northwest include: “Decreased mountain snowpack; earlier snowmelt; higher winter streamflow in rivers that depend on snowmelt; higher winter streamflow in rain–fed river basins if winter precipitation increases in the future as projected; and increased landslides due to increased winter rainfall.” As the earth continues to warm, it is likely that there will be more frequent and deadly mudslides in Washington, not unlike the current one in Oso. On Monday, the UN Intergovernmental Panel on Climate Change plans to release the second part, Impacts, Adaptation and Vulnerability, of the multi–part Fifth Assessment Report. Till then, here is a bit more on climate impasse. In part I, I had discussed mass consumption that you can read here. Let us now move forward, with Progress. Progress is a promise—for a better life. Some contemporary critics, however, have framed Progress as a modern myth. Philosopher John Gray’s book, The Silence of Animals: On Progress and Other Modern Myths (2013), and writer Chris Hedges’ recent lecture “The Myth of Human Progress and the Collapse of Complex Societies” (26 January 2014), are notable examples. In the pursuit of Progress, freedom is perhaps the most desirable aspiration. The United States has 5% of the world’s population, but 25% of the world’s incarcerated people; and tops the list on the rate of incarceration, with Rwanda occupying the second spot. With more than two and a quarter million people in prison (at year–end 2011); nearly seven million adults in correctional supervision (in 2011); more than 70,000 juveniles in detention (in 2010); and inmates in offshore gulags like Guantánamo—to think that America is the “land of the free” is an illusion. So, yes, Progress is a myth. For the purpose of interpreting the climate impasse, however, I’d frame Progress, not as a myth, but as a paradox. Progress is as real as an apple, and it can also hold contradictions. When I was growing up in India, I used to take bath with exactly one bucket of water. All aspects of taking a bath—pre–soak, putting body soap and shampoo, and finally rinse—would get accomplished with about twenty litres of water. Then, when I came to America, twenty–three years ago, in the desert of New Mexico, I started taking bath by standing underneath a modern invention, called shower, where a combination of hot and cold water flowed. The shower had significantly improved my experience of taking a bath. I tasted Progress. But that Progress came at what cost? By the time I finished taking a bath, I had no idea how many litres I had used, maybe 100, maybe less, maybe more, no one was counting. Many activists and scholars point out that fresh water is becoming the scarcest resource, which will have severe consequences for human and nonhuman life on earth. As you can see Progress improves the quality of life for some, while degrades or destroys the same for others. In this sense, Progress is a paradox. I can also give examples where Progress simultaneously improves and degrades the quality of life for the same individual. But let’s move on to climate impasse. To begin with, it’s a myth that super rich are not worried about global warming. They are. How else do you explain the fact that the not–climate–denying left–leaning philanthropist Bill Gates is perhaps the lead financier of geoengineering, and the climate–denying right–wing institutions, such as the American Enterprise Institute and the Heartland Institute are among the grand plan’s cheerleaders? In part III, I’ll say more about this nexus. Secondly, there is no such thing as climate deniers anymore; it’s a myth, a farce. The so–called climate deniers, do believe that global warming is happening, that this time it is anthropogenic, that it is getting worse by the day, and that money could be made from the crisis. The tobacco industry was never worried that smoking that increases the risk of cancer could actually destroy that industry. The climate denying industry, however, is probably convinced by now that unless a quick fix is found (geoengineering is a candidate), anthropogenic global warming will destroy global capitalism, the very foundation that makes super rich—richer. In fact, anthropogenic global warming is the only thing that can destroy predatory capitalism. In this sense, the climate deniers are different than all the other Merchants of Doubts of the yesteryears. If you prefer calling people out by names, then I’d suggest that you start using ‘climate imposters’ instead. Now, back to the “greedy bastards”. How did that subspecies evolve? To understand that evolution we need to look at three distinct phases of American consumption: consumption that shows that a person is rich; consumption that shows that a nation is rich; and finally, mass consumption. In part I, I said much about mass consumption. Let us now turn our attention to the first two forms of consumption. More than a century ago, in his pathbreaking book, The Theory of the Leisure Class (1899), economist–sociologist Thorstein Veblen had introduced the dark side of American consumption. It was the first in–depth socio–economic analysis of American consumption. That book isn’t an old relic, however, but a book of immense contemporary relevance, as the latest edition suggests (Oxford University Press, 2007). In that landmark study, Veblen had introduced the concept of ‘conspicuous consumption’, which is the form of consumption that makes visible that a person is indeed rich. While a rich person shows off with ‘conspicuous consumption’, the nation embraces the notion that ‘greed is good’. The next phase of consumption shows that the whole nation is indeed rich. That concept was brilliantly articulated by economist John Kenneth Galbraith in his influential book, The Affluent Society (1958). That book isn’t an old relic either. The 40th anniversary edition is still in print (Mariner Books, 1998), and being read by many, including this writer. It isn’t Galbraith’s The Affluent Society, however, but instead, an eleven–page rather obscure essay he wrote in that same year, in 1958, to which we will turn our attention soon. To understand climate impasse, we have to cast a net large enough to catch much more than just the “greedy bastards”. If you blow the dust away, and scrape the surface a bit, you will see that there is a common ground among…climate imposters, climate not–imposters, climate activists, and climate scientists. This common ground is commonly known as Progress. Of course, the motivations and aspirations of those four groups vary widely. Nevertheless, they are connected at the umbilical cord through their faith in Progress. “Give me good statistics, hard facts, and hyperlinks that work, to back up your outrageous accusation,” an editor might shout. But, I’m neither a statistician, nor a politician; as a rhetorician, the best I can do is to begin with a fable instead: the tragic story of Joe. Joe is a glutton, loves potato, has diabetes. Doctor: Your diabetes is getting worse, Joe. I want you to stop eating potato, and substitute it with broccoli. Joe: Well, Doc, I can certainly substitute potato with broccoli, when I eat my daily twenty–ounce steak, but you don’t understand. J: I have more than a hundred recipes, and in each one I put potato. Can you imagine making lamb vindaloo with broccoli? It’s not possible, Doc. After discussing several potential substitutes, but finding none suitable, they hit an impasse. Joe was one of the most significant customers at the town’s only grocery store. Fearing economic loss for the store, the doctor didn’t suggest to him that instead of just substituting potato with broccoli, Joe should reduce his appetite through exercise, eat less and simple food, and get healthy eventually. Joe’s diabetes got worse, and he died a few months later. In remembrance, after remembrance, at the funeral, townspeople said that Joe lived a happy life, always ate what he loved, including lamb vindaloo the day he died, someone recounted. Our daily life—from brushing teeth in the morning, to brushing teeth at night, before going to bed—is profoundly dependent on petroleum products and byproducts (not unlike potato in Joe’s diet). While we can certainly substitute some aspects of our lives with “clean, alternative technologies” (not unlike Joe, who was ready to substitute potato with broccoli), it is impossible for us to extrude ourselves from petroleum (not unlike how Joe found it impossible to give up on potato)—unless we fundamentally change how we live. But What of the Appetite Itself? Joe’s story highlights two concepts: ‘appetite’ and ‘substitutes’. While appetite is a human attribute, substitutes are either found in nature, or are products of Progress. The idea of appetite and substitutes, as it relates to materials consumption and conservation, was first articulated by John Kenneth Galbraith in an essay, “How Much Should a Country Consume?” that appeared in the anthology, Perspectives on Conservation: Essays on America’s Natural Resources (1958). In it, he had analyzed the unsustainability of materials consumption in America. Galbraith had first acknowledged the important contribution that the conservationists had made in “dramatizing the vast appetite which the United States has developed for materials of all kinds.” He further went onto to say that “we now recognize [this appetite] to be exponential.” And finally, he critiqued the conservationists’ approach to addressing the issue of impending resource crisis: by increasing supply; by increasing efficiency; and by developing substitutes. We are in a very similar situation today. The US is projected to become the largest oil producer in the world by around 2020. Additionally, the Obama administration is rapidly increasing the supply of natural gas through hydraulic fracturing, commonly known as fracking, across the nation. The Environmental Defense Fund, a conservation organization, has been cheerleading the fracking boom. 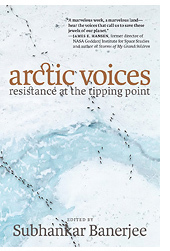 The climate activist organizations, however, are campaigning to decrease production through the fossil fuels divestment campaign, and various resistance movements across geographies—Arctic, Alberta, Cove Point. Furthermore, the carbon ‘fee–and–dividend’ system that climate scientist Dr. James Hansen has proposed, is another attempt at reducing fossil fuels production. It should be noted, however, that both the divestment campaign and the ‘fee–and–dividend’ system rely on substitutes—that “clean, alternative technologies” will save the day. Moreover, conservationists are championing projects that increase efficiency (the work of Amory Lovins, for example), and develop substitutes (“clean, alternative technologies”). Six decades later, we are faced with a similar “silence.” The Green Consumerism has hijacked the discussion of appetite (that Galbraith had suggested) and turned it into an optimistic, but deeply flawed and exploitative, future with green substitutes. “We can’t buy our way to a green planet,” is how Kendra Pierre–Louis articulates it. At this juncture, I’d note that an attempt to get rid of fossil fuels, without also addressing the appetite, and believing in efficiency and substitutes to solve the climate crisis—is eventually a road to Mordor. As I noted in part I, and will repeat here again: many people and communities are indeed addressing the issue of ‘appetite’, and many individuals are quietly practicing—living with less. Let us now turn our attention to the follies of efficiency and substitutes. Why Does the NSA Hate Efficiency? The promise of solving resource crisis through efficiency has been thoroughly debunked. Consider this as an example. Personal automobiles have certainly become more fuel efficient. But the sizes of cars, at the same time, have gone up, up, and up. We may have forgotten that only a few years ago there was a craze for Hummers! And, you might not even know that almost exactly a decade ago, in 2005, the International RXT and International MXT were introduced at the Chicago Auto Show. At that time, some popular public figures, including Ashton Kutcher, Roy Jones Jr., Shaquille O’Neal, and Jalen Rose had given those cars visibility, by owning it—an example of twenty–first century ‘conspicuous consumption’. To give you an idea about how monstrous those cars were, the RXT weighted nearly three times, and the MXT about twice, the weight of a Hummer H1. You might think that I’ve just given an extreme example that may never become an object of mass consumption. In the 1960s how many people would have imagined that half a century later, many middle–income families would own a 5,000+ sq feet home with three–car garage and large lawn, in a suburbia, in the water–stressed desert southwest? But that is the reality today in places like Phoenix—yet another example of ‘conspicuous consumption’. Fortunately, the craze for Hummers, and the possibility of RXT and MXT as personal vehicles, faded away (blame it on the economic depression), and good many people happily opted for something smaller—one of the many gas–guzzling SUVs. But, America will soon be the largest oil producer in the world. Then, don’t be surprised if you see—Hummers, RXT, MXT, or their successors—further clogging up the already clogged up streets, from Seattle to Bellevue, and back. There is nothing wrong with efficiency though. It’s just that as soon as we get efficient, we want more efficiency. Nowhere is this tendency more visible than in communication. We are communicating with each other with such efficiency that our attention span is diminishing rapidly, and steadily reaching toward the duration of a hummingbird’s wing beat. This super–efficiency is costing the US taxpayers serious money, like the whopping $2 billion that the NSA had to spend for building the largest Spy Center in America (in Bluffdale, Utah), to process all of our very efficient, and the enormous heaps of communications data that we are rapidly generating by using varieties of electronic gadgets. “But why bring up speedy communication during a conversation on climate impasse?” you might ask. Wait till you hear about the connection between electronic gadgets and hybrid cars. Remember the biofuel–as–clean–alternative–energy boom? The production of biofuel started in the mid 90s, and had turned into a boom, after the Bush administration passed a law in 2005 that required refiners to mix large quantities of biofuel into gasoline. Less than a few years later, however, the boom had become a colossal bust—economically (for the “greedy bastards”), ecologically (biodiversity loss), and socially (destruction of indigenous communities). The icing on the cake was that the damn thing wasn’t even “clean” as promised, and contributed significantly to climate change. The whole charade was nothing more than a delusion, as Mario Giampietro and Kazo Mayumi point out in their book, The Biofuel Delusion: The Fallacy of Large Scale Agro–Biofuels Production (2009). Not unlike his predecessor, President Obama (with champion of fracking Ernest Moniz as the Secretary of Energy) is now drumming up a new charade—natural–gas–as–somewhat–clean–but–not–so–alternative–nevertheless–bridge–fuel. How long do you think before this delusion will be over and we nosedive into yet another colossal bust—ecological, social, and economic? The batteries on those cars, however, require hard–to–find rare earth elements. To meet our ravenous appetite for batteries for hybrid vehicles and varieties of electronic gadgets, the mining companies are now pushing to pry open the deep seabed, to extract “precious metals, methane gas, and rare minerals.” On 16 February at the American Association for the Advancement of Science meeting in Chicago, “Deep–Ocean Industrialization: A New Stewardship Frontier,” scientists warned that the deep–sea ecosystems are now under threat of mass industrializations, and urged international co–operation and stewardship. The prospect of deep ocean industrialization, forces us to think about varieties of ‘new frontiers’. To satisfy the promise of Progress, nation states are continuously looking for substitutes, in new frontiers. As you can see, Progress is intimately connected to climate impasse. The subject of new frontiers, however, is rather large. I’ll discuss it in part III. I’d also note here that, after reading part I, some readers complained about my silence on the subject of population. Population will be in part IV, when we discuss extinction. Perhaps Joe could have lived a while longer, if the doctor had focused primarily on appetite, and to a lesser degree on substitutes.